If you have yet to see the Grand Budapest Hotel, you should probably make it a priority. Not only is the movie nominated for best picture, it is also brilliant and hilarious with stunning cinematography. Of course, I expect nothing less from Wes Anderson. In the movie, the adorable Agatha works at an equally adorable pastry shop called Mendl's where she makes Courtesan au Chocolat. 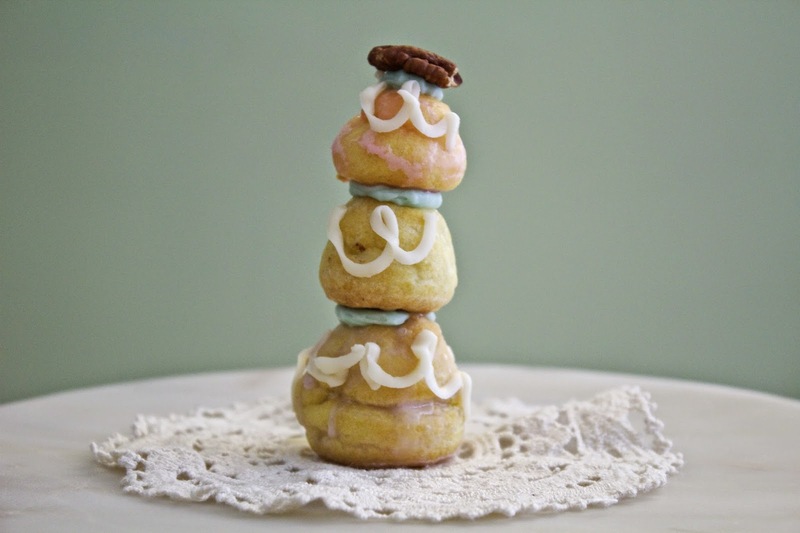 These are essentially three tiered french pastry puffs filled with chocolate and beautifully decorated. Naturally, when the film's team released the recipe, I had to try it. If you're interested, below is the instructional video with the recipe from the film. 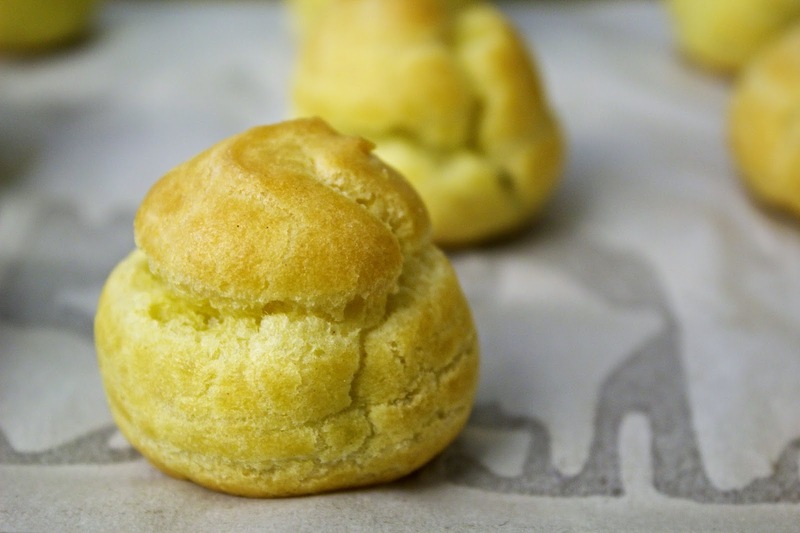 I first made these Courtesan au Chocolat at home for my family, and we enjoyed them for Christmas Eve dessert. This time around, I made them at school for a Campus Activities Board screening of the Grand Budapest Hotel. They are honestly so delicious, and not too difficult as long as you have a little patience. Each time I make these pastries, I feel as though I learn a little more about the process and make a few mental notes. Next time, I'll definitely make the icing a little thicker and do the piping work before stacking. 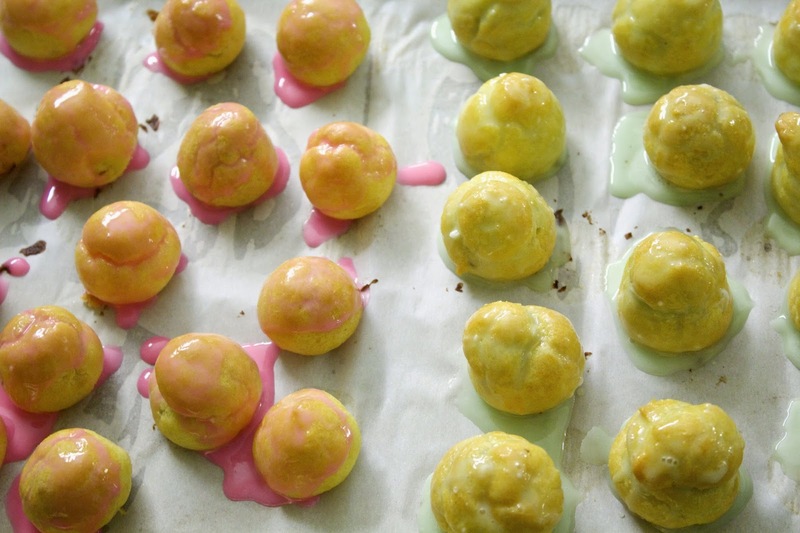 I won't rest until they're perfect enough to be sold at Mendl's. In the meantime, I entered them in a little contest held by La Cuisine Paris. La Cuisine Paris is a french cooking school in Paris where I took a macaron making class last year. 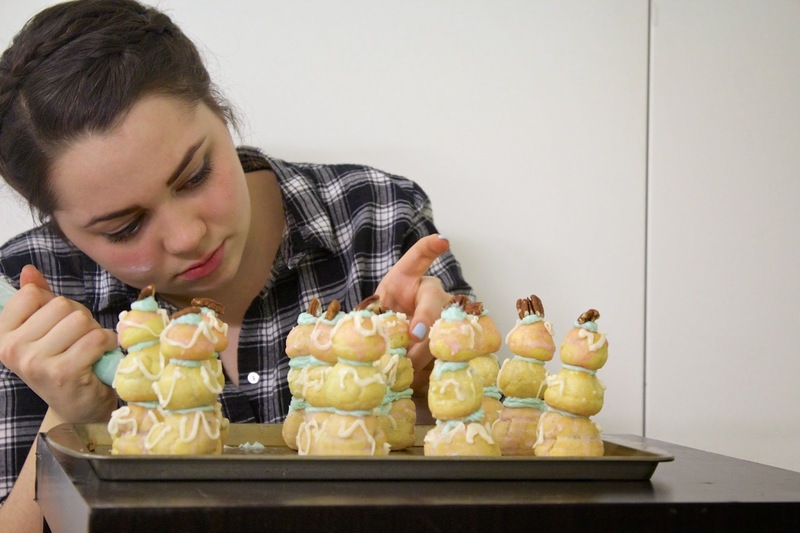 They are looking for the best photo of a "french inspired homemade sweet creation." 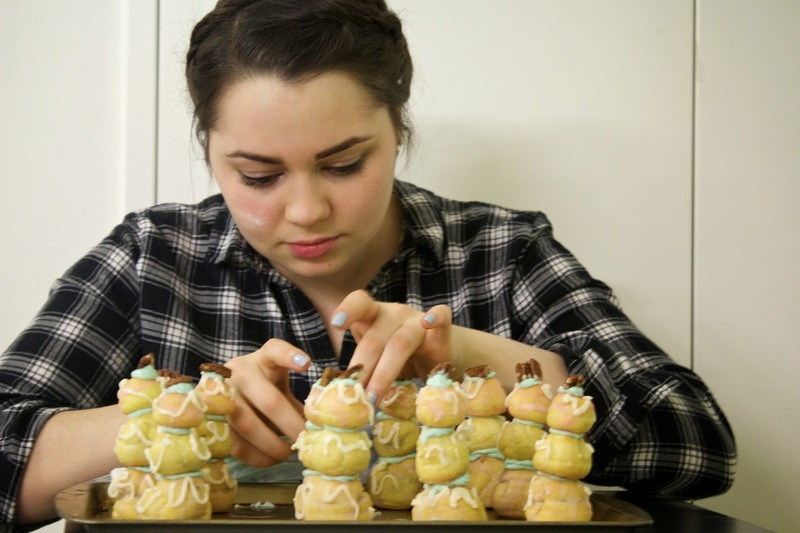 The winner gets a small baking goodie bag from Paris! 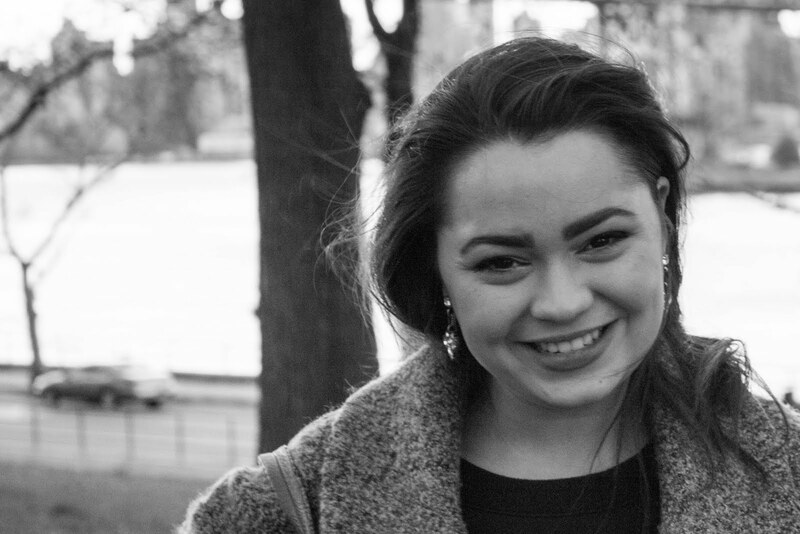 If you feel so inclined, you can vote for me here by liking my photo. I would certainly appreciate the support! Now all I need is a Mendl's box for packaging! P.S. 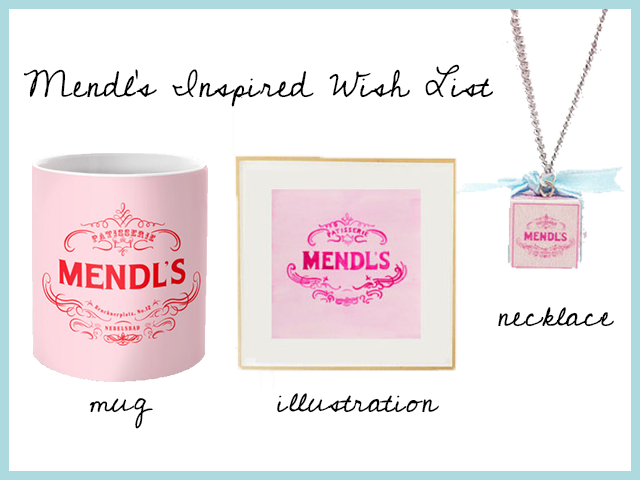 With all of this talk of Mendl's, I wanted to share a few Grand Budapest inspired gifts on my wish list. [Mug] So perfect; I can already imagine sipping coffee in the morning with a french pastry. [Illustration] This beautiful hand painted illustration will definitely be included in the gallery wall of my future home. [Necklace] Super tiny, intricate and adorable; it would be so fun to see if anyone recognizes the reference.